We love spicy, Mexican food and we have a handful of restaurants that we enjoy in Central Ohio. 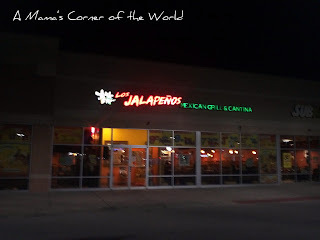 One of those Mexican restaurants is Los Jalapenos on the edge of Blacklick in Central Ohio. 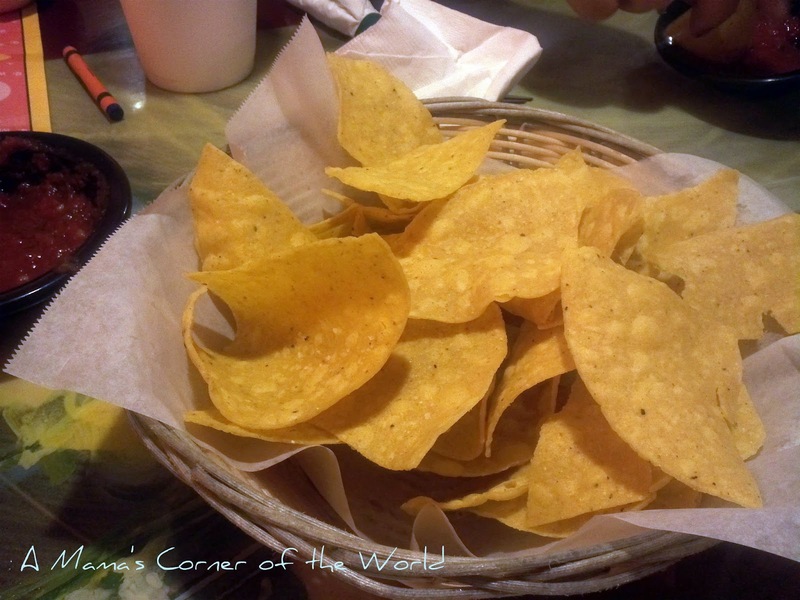 We thought it would be the perfect restaurant review as our letter L entry in the Blogging from A to Z challenge: L is for Los Jalapenos. 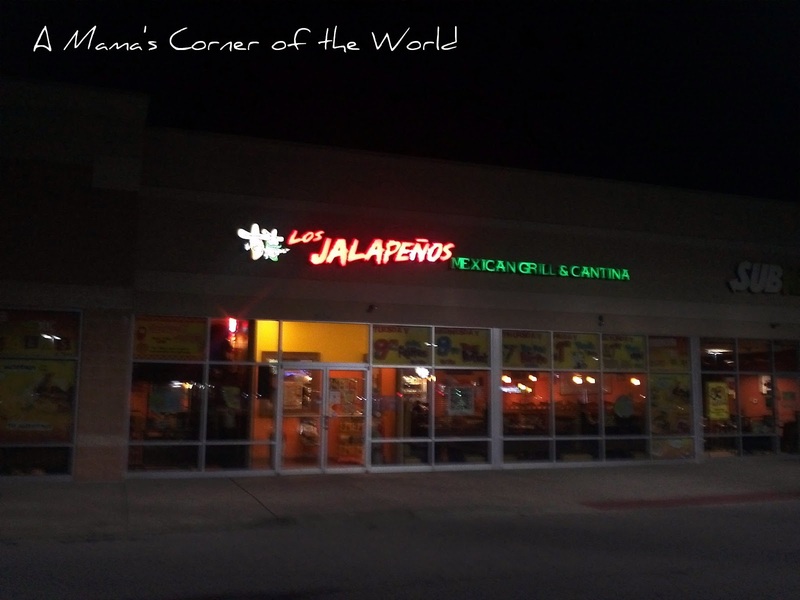 Los Jalapenos hides in a little strip mall. 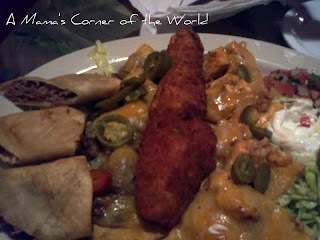 There is nothing flashy about Los Jalapenos location. Aside from a little ground level sign at the entrance to the Target anchored, strip mall off busy Broad Street, the little restaurant seems hidden away. If you blink, you will miss it as you enter or exit Reynoldsburg! Los Jalapenos has a fun atmosphere. A brightly colored, eclectic assortment of chairs, painted with images of birds, sunbursts and such scenes, dot the restaurant. There is ample seating and a little bar area in the rear of the restaurant. 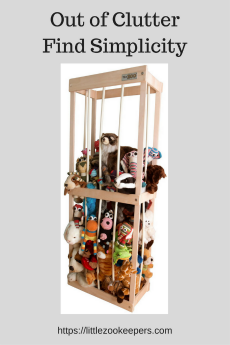 It's kid friendly and offers a reasonable kid's menu. 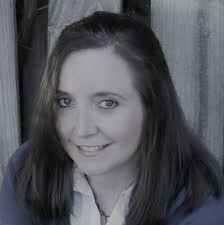 Our servers have always been friendly and we have never had a complaint about service, even when the restaurant is busy. How is the food at Los Jalapenos in Reynoldsburg? We have visited Los Jalapenos several times, for lunch, dinner, happy hour, and late night meals, and have always been satisfied with the food. A basket of warm tortilla chips and bowls of hot and mild salsa arrive. The salsa is not a chunky style—it’s thin--but, is loaded with flavors. You can actually taste lime juice, cilantro and spices. We chose the house Margaritas, although they offer a ton of other Margarita options. Los Jalapenos also advertises a giant Margarita tower that would make a fun happy hour outing! 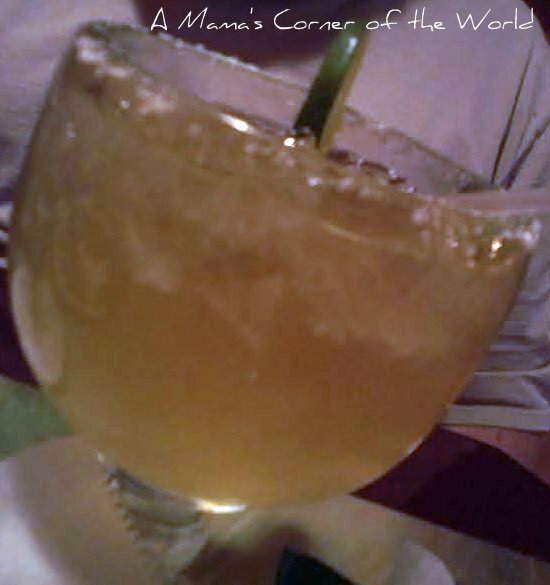 The Margarita is good--but, the alcohol content seems to vary from drink to drink. I'm not sure if it depends on the bartender or the drink mix--but, during our last visit, one drink was significantly stronger than the others. It includes sweet and spicy jalapeno poppers, steak and chicken bean nachos, shredded beef and chicken flautas along with shredded lettuce, sour cream, fresh guacamole and pico de gallo. Everyone has a personal favorite and the huge portion size is worth the price tag as it easily serves a large table. 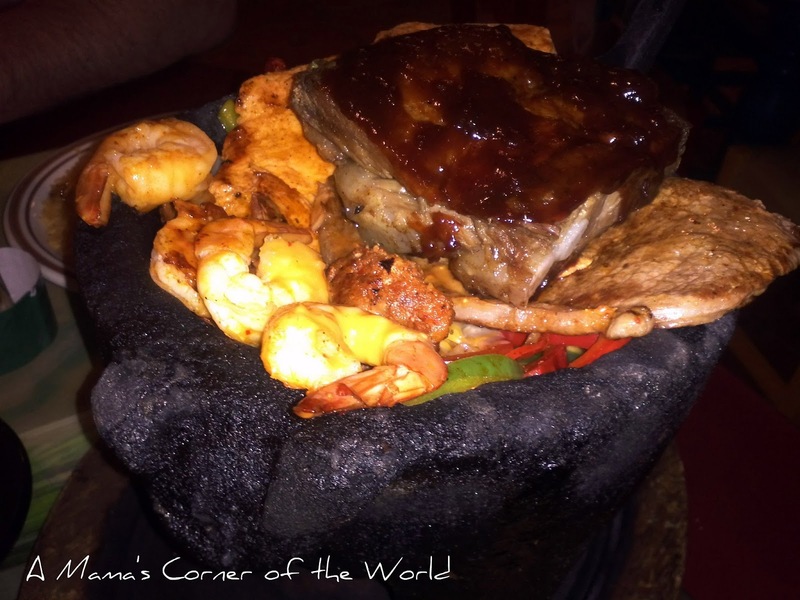 This is a combination of grilled steak, chicken, spicy chorizo sausage, honey chipotle barbeque ribs, shrimp, grilled onions and bell peppers, salsa ranchera and shredded cheese—served inside a hot, volcanic rock “bowl”. The Molcajete is served with sides of flour tortillas. Although it says it serves 1-2, we could easily serve four of us with the appetizer and the Molcajete. The Molcajete and other main dish platters are served with rice and churro beans. The rice is the only item on the menu that disappoints—but, it mixes well into the other more flavorful items. I was excited to try the shrimp--but, found myself addicted to the chorizo instead. It's a fun dish to enjoy as a family or couple. Would we recommend Los Jalapenos? It’s not the best Mexican restaurant that I have ever visited—but, it is worth the trip if you are in the neighborhood. The restaurant operates other locations in the Columbus, Ohio, area and menu offerings differ slightly from place to place. Los Jalapenos also offers a food truck and catering. If you visit, keep in mind, the portions of many of the meals are large enough to share. Disclosure: Nothing to disclose. We were not compensated for this post--we just wanted to share a local restaurant find with our readers.